Most women I speak to are on the pill. It’s the most common form of contraceptive here in the uk. It’s an easy and effective way of ensuring no babies are made and acne does not rule the roost. But did you know of some of the disastrous effects it can have on your health? As part of the hormone imbalance series , I am going to look at one of the biggest instigators of hormone imbalance – the contraceptive pill. Years ago I went on the pill for hormonal and period issues and it was utterly miserable . I was already depressed and it made it far worse, made me super hungry and feel very fat and fed into other health issues. Then I began to research into the impact of taking artificial hormones into your body very day and boy that was when I decided that there was no way I was ever taking hormone contraceptive again unless my life depended on it. The pill is basically a bunch if hormones ( different pills and different combinations ) that helps to manage your fertility. As we now know hormones are a big deal to our bodies. One of the whole most used forms of the pill will work by making your body think you are pregnant and therefore no egg will be released (they can also work by making uterus hostile to embryos and in many other ways) . The fake period you have is just the uterus lining falling away once the regular arrival doses of hormones stop. So you can see it’s not natural but can it actually do you harm? The pill adds artificial hormones to the body which can mess with the natural balance and order of the body. Also it create nutritional deficiencies in women who take it over long period of time. Consistently high levels of hormones require more ‘effort’ from the liver and therefore things like vitamin b, magnesium, vitamin c are needed in much higher amounts. This is not very well known and so therefore most women become deficient in lots of vitamins leading to other health problems. Its also a disaster for gut health. Long term use for the contraceptive pill can allow harmful bacteria to grow in the gut and wreak havoc. Candida (yeast infections) is common for women who take the pill. There is sufficient evidence in humans for the carcinogenicity of combined oral estrogen–progestogen contraceptives. This evaluation was made on the basis of increased risks for cancer of the breast among current and recent users only, for cancer of the cervix and for cancer of the liver in populations that are at low risk for hepatitis B viral infection. I think there are many reasons for the sharp increase of cancer in our nation but I do think the blasé attitude to taking the pill has a small role to play. Breast cancer is incredibly common and is that surprising if us women spend years of our lives taking artificial hormones that make our bodies think we are permanently pregnant?! Our bodies are delicate and if we permanently add powerful artificial substances like hormones they may react in an unnatural mutated way – i.e cancer. Now I am no expert, no doctor, no scientist but neither am I judge. You are free to make your own choices, there is not fear in love and health so please don’t freak out. I write this blog and do what I do as a health coach to inform people of the impact of their choices upon their health and way up the benefits and costs. Maybe the pill is the best thing for you right now and that is ok but its important to not make choice in the ‘dark’. Overall I would say yes in my opinion. I personally would not take it as there are loads of other contraceptive methods out there. Taking it short term I think is better but I would not recommend it for long term use as I see it cause havoc on my clients all the time. Obviously I am no doctor this is just my personal but informed opinion, do your own research, make your won decision. Alternatives? Well that is another blog post in itself but eating natural food, nourishing your body and good old condoms are great places to start . Maybe not on the same plate though – ew. 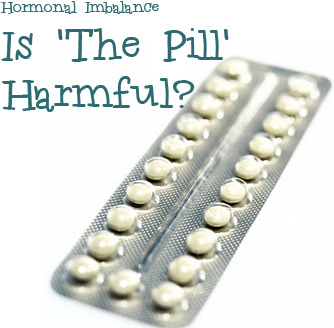 Have you ever been negatively impacted by the pill? Can’t imagine life without it? I am so with you on this, I will never ever take the pill again, I’m pretty sure it’s in part one of the reasons I had no periods for almost three years!